Practice Fusion, one of the largest electronic health records providers, has updated its free EHR system to be compatible with Apple and Android tablets. 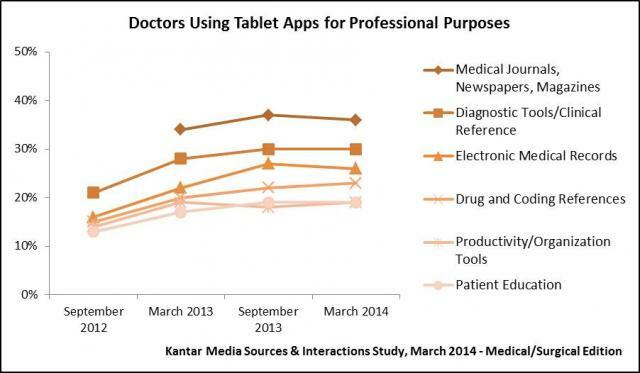 Since 2011, tablet use by physicians has more than doubled from 30% in 2011 to 72% in 2013. 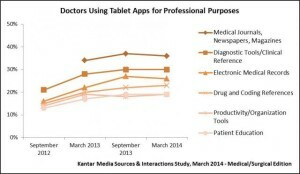 The most recent Manhattan Research findings explain that physicians use tablets as a hybrid between cell phones and computers, as phones are easier for quick searches on the go, and computers have been easier for access to EHR. Before this update, EHR access on tablets lacked nearly 1,000 features that the desktop version provided, including ordering for lab tests, drug interactions, and prescriptions. Doctors are using tablets to access medical textbooks, communicate with other doctors and patients within systems, and can now better serve patients through EHR accessibility. Practice Fusion says it will develop a Smartphone accessible EHR platform next, possibly the most difficult platform to develop EHR systems for. In total, Practice Fusion has raised $149 million, making it one of the most highly funded digital health start-ups, according to Forbes.